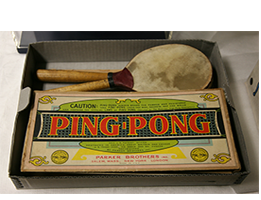 The sport of table tennis has its origins in the 1880’s where an adaptation of lawn tennis to the dining table was improvised. It is thought that upper-class Victorians in England invented table tennis in the 1880s as a genteel, after-dinner alternative to lawn tennis. 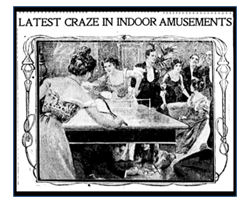 In 1900, the celluloid ball was invented and the game became very popular. Gradually the shape of the racket began to change. Plywood rackets appeared, and its weight diminished. Shortened handle required to hold the racket in a new way. New materials for pasting the playing surface, such as parchment, leather, and velour, began to be used. Englishman E.C Goode can be regarded as the author of such racketsâ€™ modifications. Due to the rapid flourishing of industry, new materials appeared and were used in sports, so sports equipment varied. And that had a direct impact on the tactics and techniques(Interactive Media Lab, 2012) . In 1977, the sport was recognized by the International Olympic Committee. 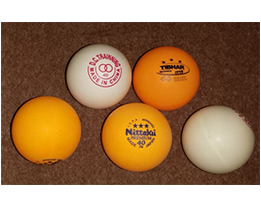 In 2000, the ball size was increased to 40mm to slow down the game for improved television viewing. Today, over 300 million people play the game and at the Bejing Olympics, table tennis was the 5th most viewed sporting event.